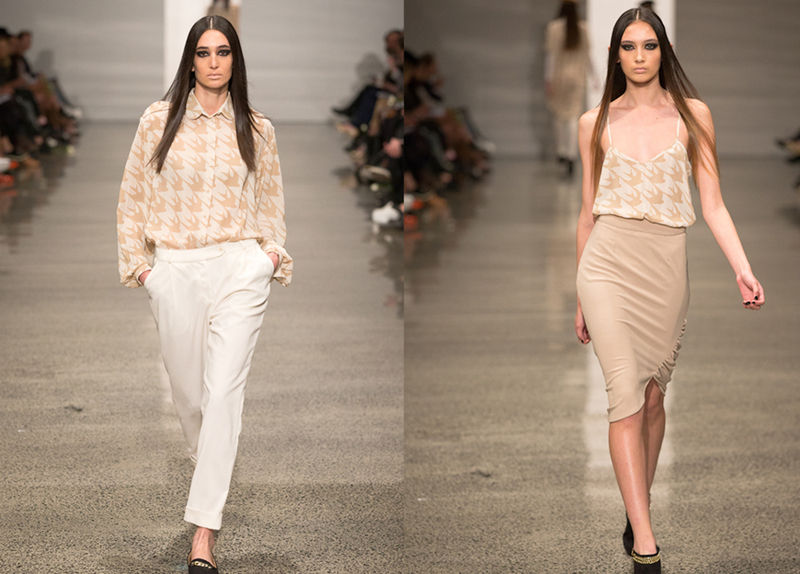 A perfect reflection of the brand name was the 2014 Pardon My French Beat Girl collection shown at NZFW. Girls looked distinctly cool and ever so French with black smokey eyes, dressed in flats, simple cuts and turtlenecks - if only cigarettes were still cool, they would have made the perfect accessory. This collection was exactly what I feel like wearing every day right now, which seems to be where designer Lucy Kemp's talents lie - giving girls what they want, no fuss. The clever swallow houndstooth print shirt is definitely on my wish list, and I really wanted to steal the black and white check sweat on the day of the show (it has a leather back, swoon)...now all I have to do is wait until next winter.